“Inspiring Our Youth to Succeed” is a mission-focused tenet of the Boule and reflects our deep passion, strong commitment, and high regard for achievement. Our focus is on development of young black males through mentoring, educational, and networking opportunities. Our goal is to raise their academic expectations and to help them to excel in the classroom and beyond. Naismith Memorial Basketball Hall of Fame – The global stage for the game of basketball and Beta Sigma Boulé’s strategic partner and co-sponsor of the Education & Leadership Luncheon, an Enshrinement Weekend activity that celebrates the achievements of high school students, primarily African American males, and exposes them to inspirational messages from Basketball Hall of Famers. A Better Chance Amherst – A national residential high school program for young scholars of color who come from educationally underserved school districts to matriculate at Amherst Regional High School and prepare for college and future leadership roles in the broader community. Martin Luther King, Jr. Family Services – Springfield’s premier family resource center and sponsor of an annual HBCU college tour and local or regional black college fairs. Brothers United to Inspire Lifestyle Development (B.U.I.L.D.) – A youth development and mentorship initiative formed by young professional men of color who are committed to reinvesting in the Springfield community by building up the next generation of black males as servant leaders and community-minded citizens. In 2014, when the National Museum of African American History and Culture (NMAAHC) was still under construction and in the beginning stages of its fundraising campaign, Beta Sigma Boulé was the first African American male organization to make a contribution to the museum. Beta Sigma Boulé, along with Epsilon Boulé of Washington, D.C., seized leadership and garnered support throughout our organization nationally to support the museum’s fundraising efforts. This led to a $1 million donation by Sigma Pi Phi Fraternity, which designated the Boulé as a Founding Donor of the NMAAHC – the first, and only, national museum dedicated exclusively to the research, documentation, and presentation of African American life, history, and culture. 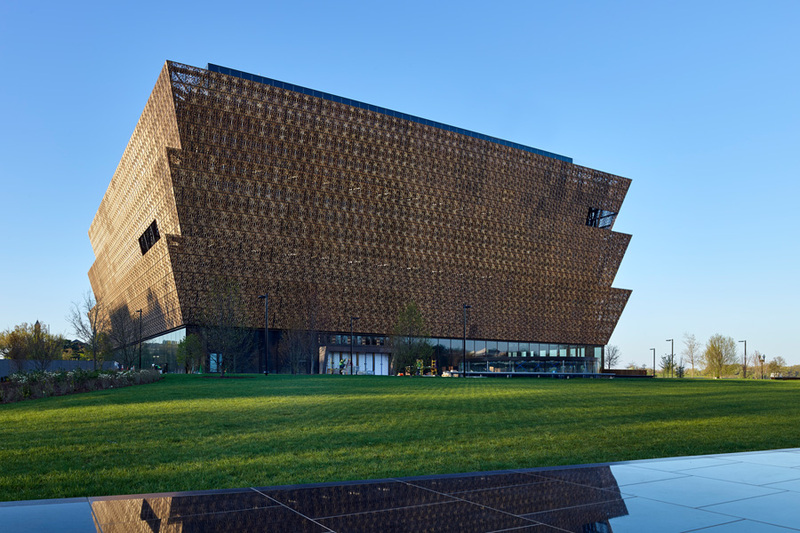 The NMAAHC, the Smithsonian’s 19th museum and the world’s largest museum complex, opened in September, 2016 in Washington, D.C. Beta Sigma Boulé’s social action agenda also focuses on voter registration and Get-Out-the-Vote (GOTV) activities. Education is Sigma Pi Phi Fraternity’s top social action priority. Nationally, the Boulé Scholars Program aims to raise educational expectations and performance of black students by cultivating and celebrating their academic excellence from elementary to college and graduate and professional school levels. The Boulé Scholars Program provides a $10,000 four-year scholarship to high-achieving black males in their final year of high school. Applicants for this elite program must be nominated by their local member boule and are evaluated in the areas of school leadership, civic engagement, cultural arts involvement, and athletic participation. Boulé Scholars are envisioned as meriting the same level of prestige, or higher, as that associated with students selected as Rhodes Scholars. Khadir A. Zachery (2nd from left), 2018 Boulé Scholar and Archons Vincent Jackson, David Williams, and Brooks Fitch. Khadir is a graduate of SABIS International Charter School in Springfield, MA and is currently matriculating at Worcester Polytechnic Institute in Worcester, MA. 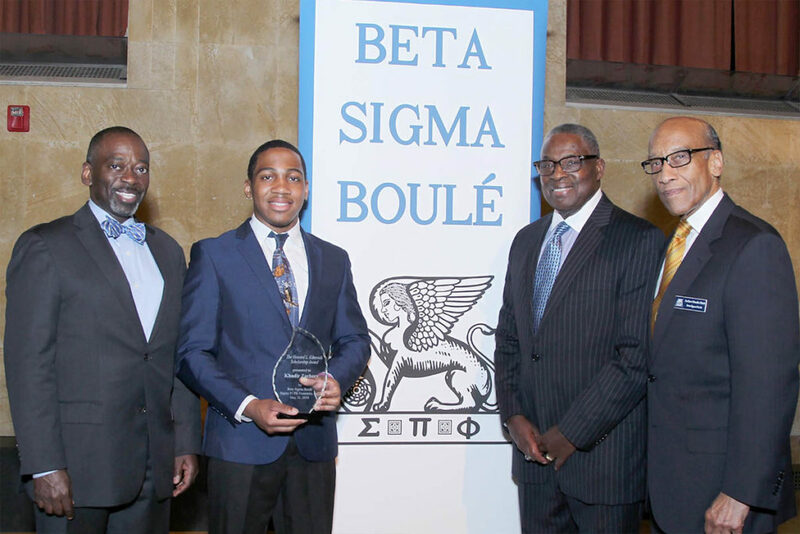 Each year, Beta Sigma Boulé awards at least one four-year academic scholarship to a local high school senior and commits to an ongoing mentoring relationship with the recipient throughout his college years. Since the scholars program began in 2010, Beta Sigma Boulé has awarded nearly $40,000 in scholarships and book awards. The scholarship is named in honor of the late Howard L. Edmonds (1914-2010), who was a prominent educator in the Springfield public school system and a charter member of Beta Sigma Boulé. One of the key goals of Sigma Pi Phi Fraternity, Inc. is to influence public policy issues that are related to the social, economic, and educational advancement of the African American community. 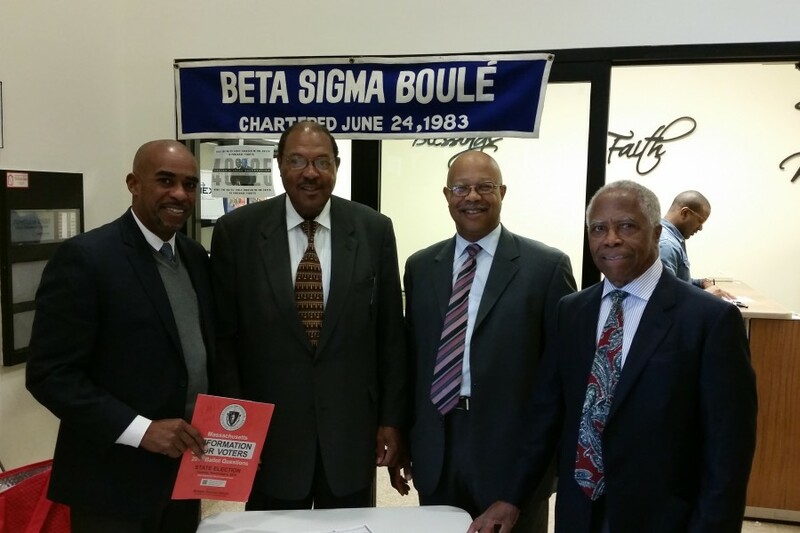 To stimulate dialogue on public policy issues, Beta Sigma Boulé established the W.E.B. Du Bois Public Policy Series as a platform for community leaders and concerned citizens to discuss issues such as education, health, justice, financial literacy, economic development, and political action. The event is named in honor of W.E.B. Du Bois, who was a member of the Boulé and one of the most prominent social activists for civil rights and racial equality. Each year, the W.E.B. Du Bois Public Policy Series features an invited speaker who is an expert on a particular public policy and shares information that is useful to leaders in the Springfield community. Proudly powered by the Oevae Marketing Consultants. Proudly powered by Oevae Marketing Consultants.